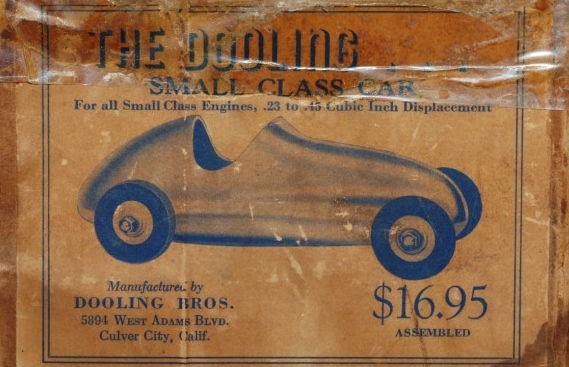 Officially named the Series 6000 small class car, the Dooling Brothers sought to produce a car which would stimulate interest in the AMRCA Class A for race cars with engines smaller than .36 cubic inches. 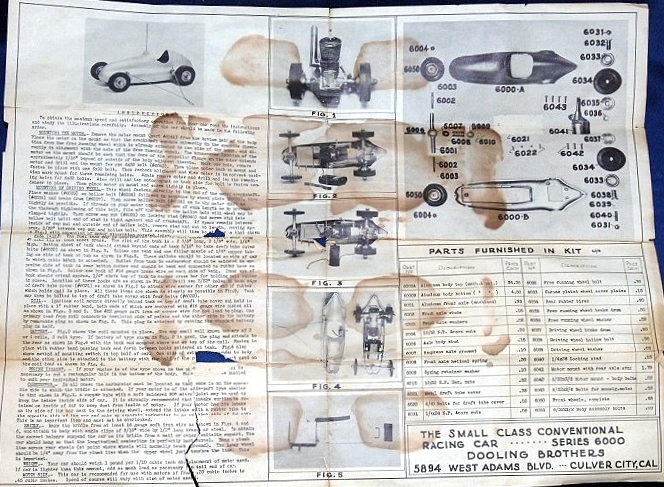 As a result, these small cars (which soon came to be known as "PeeWee's" were often powered by .29 cubic inch engines if they were built to compete in the AMRCA Class A. Such is the case with this car, which was built and raced by legendary race car and engine builder, Bill Atwood. This car is powered by a .29 cubic inch Phantom P-30 spark ignition engine. Legend has it that this car was victorious over Tom Dooling's personal Bunch .45 powered PeeWee in a head-to-head competition shortly before World War II. 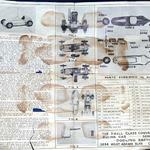 Most Dooling PeeWee's, however, were powered by Bunch .45 spark ignition engines and did not compete in sanctioned AMRCA races since they would have been required to race against the larger Class B cars powered by .60-size engines. 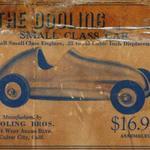 Even Dooling Brothers' advertisements for the car cited its performance powered by a Bunch Tiger .45 engine. Even though the PeeWee was well engineered and exhibited typical Dooling Brothers quality, it was not a success on the race track; due in part because it was introduced just before the start of World War II when tether car racing in the United States nearly ground to a halt.